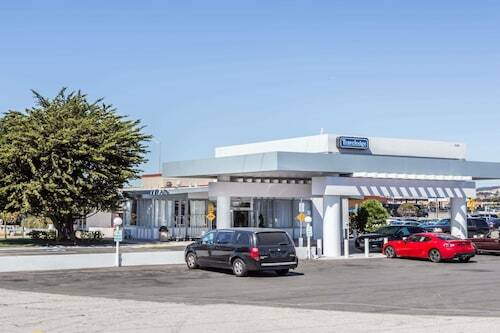 Situated near the beach, this hotel is within a 15-minute walk of Rockaway Beach and Pacifica State Beach. Sharp Park Golf Course and Pacifica Pier are also within 3 mi (5 km). 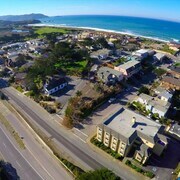 Overlooking the ocean from Rockaway Beach, the hotel is 1 mile from Pacifica State Beach and 2 miles from Pacifica Pier. The airport is 10 miles east and San Francisco is 12 miles north of the hotel. 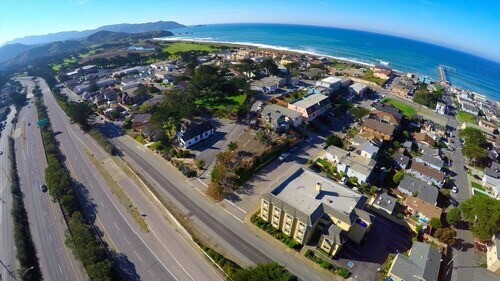 Situated near the beach, this hotel is 0.7 mi (1.2 km) from Pacifica State Beach and 1.5 mi (2.4 km) from Rockaway Beach. Sharp Park Golf Course and Gray Whale Cove State Beach are also within 6 mi (10 km). 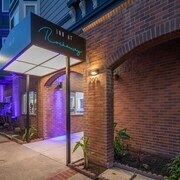 Situated near the beach, this hotel is within a 10-minute walk of Rockaway Beach and Pacifica State Beach. Sharp Park Golf Course and Pacifica Pier are also within 3 mi (5 km). 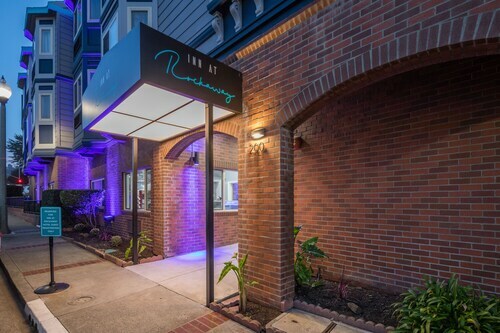 Situated by the ocean, this hotel is within 9 mi (15 km) of Ocean Beach, San Francisco Zoo, and San Francisco State University. Golden Gate Park and University of California San Francisco are also within 12 mi (20 km). How Much is a Hotel Room in Pacifica? 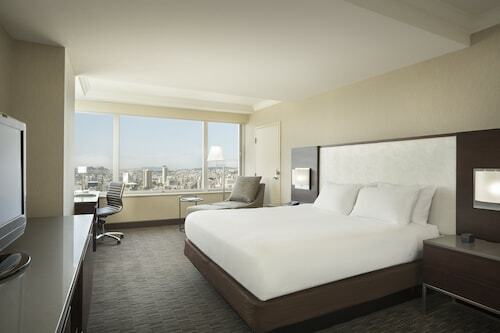 Hotels in Pacifica start at $118 per night. Prices and availability subject to change. Additional terms may apply. Set where the mountains meet the ocean just west of San Francisco, Pacifica is a delightful outdoor playground that offers all you could wish for in a California vacation— beaches, surf spots, hiking trails, and a welcoming small-town atmosphere. Pacifica, CA hotels are ideal for visitors who want to pursue outdoor recreation, but they also appeal to anyone seeking a relaxing getaway amid scenic coastal surroundings. Pacifica is just 10 miles from San Francisco International Airport, so you have a choice of transportation options to consider. You can use a combination of BART light rail and buses, pre-booked limousines, shared-van services, or take a taxi from one of the designated taxi zones outside the baggage claim areas of all terminals. 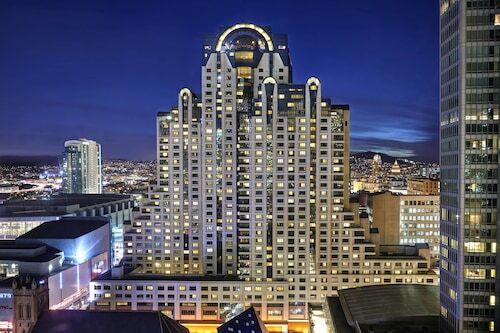 With the world-class tourist attractions of San Francisco so close by, look into staying at one of many San Francisco hotels for a night or more on your way to or from Pacifica. This will give you enough time to see sights such as Lombard Street (the "crookedest street in the world"), Fisherman's Wharf, and the Golden Gate Bridge. Alternatively, arrange for rental cars in Pacifica and take day trips into the city. In Pacifica, enjoy 6 miles of beaches, including the popular Rockaway Beach and Linda Mar Beach, where you can watch surfers in action. Fish off the Pacifica Pier, and during migration season you might spot gray or blue whales. Golfers booking hotels in Pacifica should set a tee time at the city's Sharp Park, a course designed by Alister MacKenzie. Nearby segments of the Golden Gate National Recreation Area are great hiking and mountain biking destinations, and a historic stretch of the former Highway 1 known as the Devil's Slide Trail boasts panoramic views of the ocean and rocky coastal bluffs. Travelocity has the best deals on Pacifica, CA motels, hotels, flights, and rental cars. Book yours today and benefit from the Travelocity Price Guarantee— we will match any lower price you find and refund the difference. 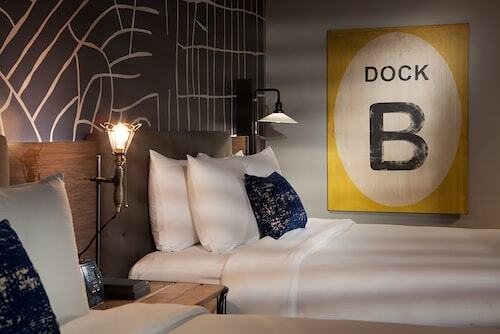 Loved the location and price on the room. Parking was outrageous and so were the things for sale in the store. Cozy Pacifica Apt W/patio- Walk 2 Blocks to Beach!